Facebook advertising is so much more than Promoted Posts and the self-serve ad tool. Unfortunately, very few advertisers have been exposed to just how powerful Facebook ads can be. You are either an advanced marketer or you’re ready for advanced marketing strategies. This post was written for you. The purpose of this post is to highlight 10 tools and features that truly showcase the amazing potential of Facebook advertising. Have you tried each of these 10 things to experience the best of Facebook ads? Every Facebook advertising list needs to start here. If you aren’t using Power Editor or a tool that utilizes the Facebook ads API, you are missing out on powerful functionality. Power Editor is a free browser plugin and bulk Facebook ad editor. Admittedly, it’s not particularly pretty or user friendly. Look past that. All of the new features are rolled out to Power Editor and the ads API first. If you want the new bells and whistles, you need to use Power Editor. In the end, this is the tool that allows me to create the ads that I want to create. It is the tool that allows me to target the people I want to target. Power Editor gives you complete control over placement, targeting and bidding, all while offering features that aren’t available within the self-serve ad tool. Facebook interest targeting is limited. When you target users based on interests, you are hoping that users are thorough, accurate and current regarding what they share on their profiles. But Partner Categories allow you to do so much more. Facebook partnered with three data mining companies (Acxiom, Epsilon and Datalogix). These companies have collected mounds and mounds of data related to buying histories and lifestyles. The result is that you can create Facebook ads that are more relevant than ever before. You can target based on income, whether they have kids, whether they buy athletic equipment, whether they own or rent a car and so much more. And now Facebook ads get really crazy! Let’s say that you were on my website. You read a blog post related to Facebook ads. When you return to Facebook, I could serve you an ad related to one of my products. That’s Facebook ad retargeting, also known as FBX! While FBX has been around for a while for the big brands, the little guys can use it now, too. In fact, you can try out FBX for free — including $60 of free ads — when you create an account with PerfectAudience or AdRoll. FBX is where Facebook ad targeting really shines. Ads no longer need to be unrelated and annoying. They can be for products and services that you’ve proven to care about. We often hear about how hard it is to measure the ROI of social media efforts. Not if you use Conversion Tracking. 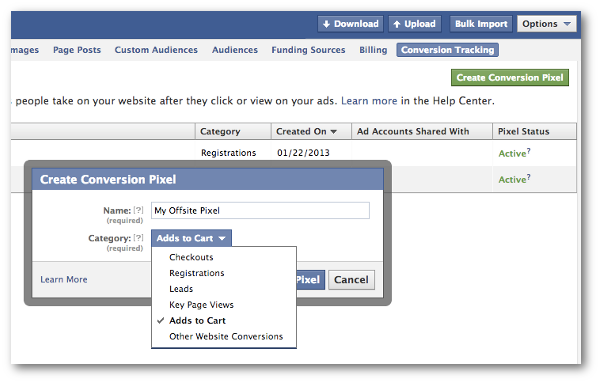 With the help of an offsite pixel, Facebook can track whether your ad led to a specific conversion — a purchase, lead, form completion or something else. 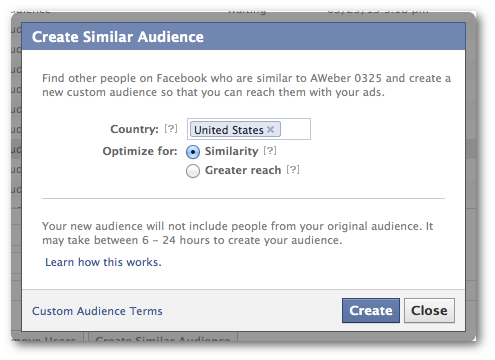 In fact, Facebook can even optimize your ad to show it to people most likely to perform that action. You will then be able to view the performance of your ads, free of distracting information like unrelated clicks. You can then see 1) How much you spent on the ad, and 2) How many conversions were generated. The result: You just measured the ROI of your Facebook advertising efforts. When you promote a post that you published to your Facebook Page, by default it is optimized for engagement. But what if you want a specific type of engagement? That’s where Conversion Specs come into play. Most Facebook ads utilize Optimize CPM bidding. 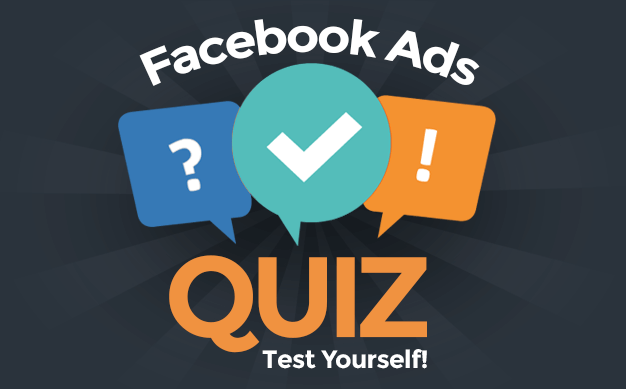 Facebook optimizes your ad, serving it to those most likely to perform your desired action. That could be liking your Page or, like in the example above, engagement with your content. Engagement, of course, includes any click. It includes stories (comments, likes and shares) but it also includes clicks that don’t result in stories. With Conversion Specs, you can manually change how your ad is optimized. You can then have Facebook optimize for link clicks, photo views, video plays or some other type of action. You can target your customers and email subscribers in Facebook ads, and you don’t even need a Facebook Page to do it. 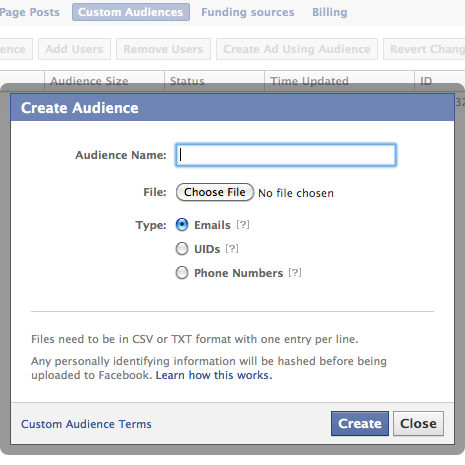 Custom Audiences allow you to upload a list of email addresses, phone numbers or Facebook UIDs. 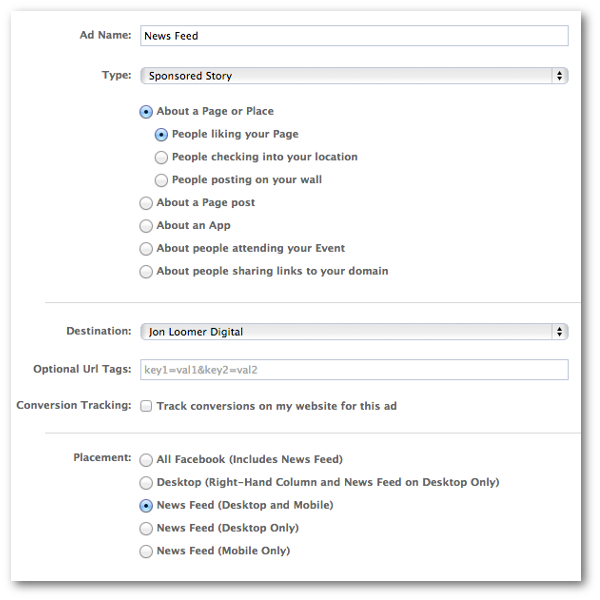 Facebook then matches those up to users whom you can target in ads. The result, if done correctly, is extremely relevant advertising. You can target your customers who aren’t currently Facebook Fans, encouraging them to like your Page. 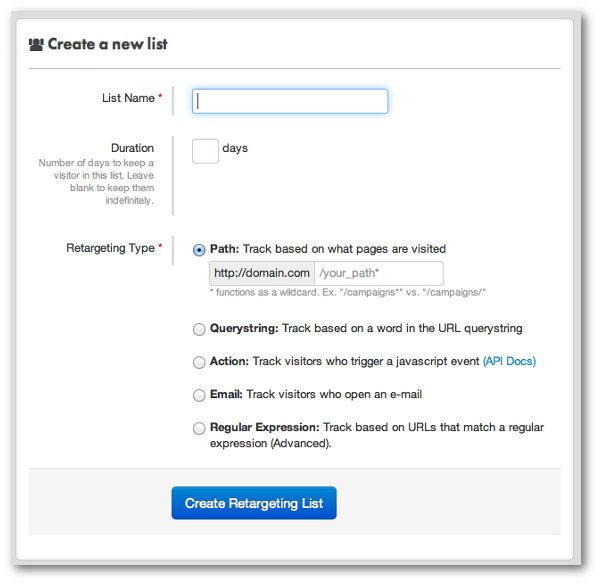 You can target buyers of Widget 1.0 to let them know that 2.0 is available, driving them to that product page. The possibilities are incredible. If you have a decent sized email list and you aren’t using Custom Audiences, you’re missing out. Let’s assume that you have a modest sized email list. You’ve tried Custom Audiences, but you get limited results because you exhaust that audience so quickly. That’s where Lookalike Audiences come in. Once you’ve created a Custom Audience, you can tell Facebook to create new audiences similar to that one. Facebook looks at the characteristics of the users in that audience and can then generate a list based on similarity (the top 1% of users similar to those users) or reach (the top 5%). While other marketers are scrambling to figure out the proper targeting to reach their ideal audience, you can quickly and easily find a large group of users similar to those who have already proven to buy from you. Successful advertisers split test like crazy. They create many different ad variations based on placement, imagery, copy, targeting and bidding to find what works and what doesn’t. This can be a time wasting process. Unless, of course, you create Saved Audiences. That’s a whole lot of targeting. It can take a ton of time. But you likely have a handful of targeting combinations that you use repeatedly. Once you save an audience in Power Editor, you can select all of your targeting with one click of a button in the future. If you own a website and want to drive traffic to it, you are likely missing out on an easy way to do it. Domain Sponsored Stories allow you to turn the interaction of users with your domain into an ad. This is not at all related to a Facebook Page. User X’s friend shared a link to ABC.com. You own ABC.com. That share can then be resurfaced later. Friends trust other friends, making this type of advertising incredibly effective. Let’s say you shared a post to your Facebook Page. But you wanted to create multiple versions of that post and turn those posts into Facebook ads. You’d do this with Dark Posts. Dark, or unpublished, posts allow you to promote posts that were never published to your Timeline. This is especially helpful for split testing purposes. Create four versions of a post targeted at various groups, but don’t clutter up your Timeline in the process. You can also do this if you’ve ever created a post that violated Facebook’s 20% text in images rule. Such posts typically could not be promoted. But simply create a Dark Post that complies and promote that one to get around it. Any other tools you’d add to this list? Let me know in the comments below!